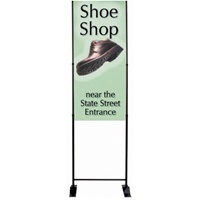 Create the perfect banner or tower display stand. Easily connect more hardware to make a full size back wall display with added fabric graphics. Portable, dependable, adjustable and priced right. 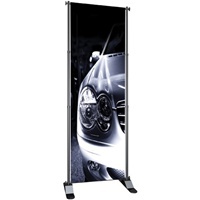 Connectability so simple, banner stands become partitions, towers, X-Towers or even full-size Trade Show Booths. This versatile system is perfect for banks, hospitals, hotels, malls, show rooms, stores & trade shows! Select the components you need to build your custom display or choose from one of our pre-designed kits.